I’ve mentioned allergy screens a couple of times and thought I would show you and explain more about them. Allergy screens look like two sheets of wire mesh with quilt batting in the middle. They have a ridged design that traps 92% of dust, pollen and mold. They also keep the rain out. 2) Open the windows and suffer. Of course, option 2 can lead to a severe reaction requiring medical attention. Using allergy screens does let in some fresh air and that is important. On the mild days you can get fresh air without allergens. Since, they do not let a lot of air in; you can keep the windows open even when it is cool outside. Allergy screens come in two size 7” and 11”. I order them online at www.allergyasthmatech.com or www.natlallergy.com. I use two in each window so the warm air can escape. Or I put the large one in the bottom of the south windows, when the breeze is from the south, and in the top of the north windows so the heat can escape from the house. 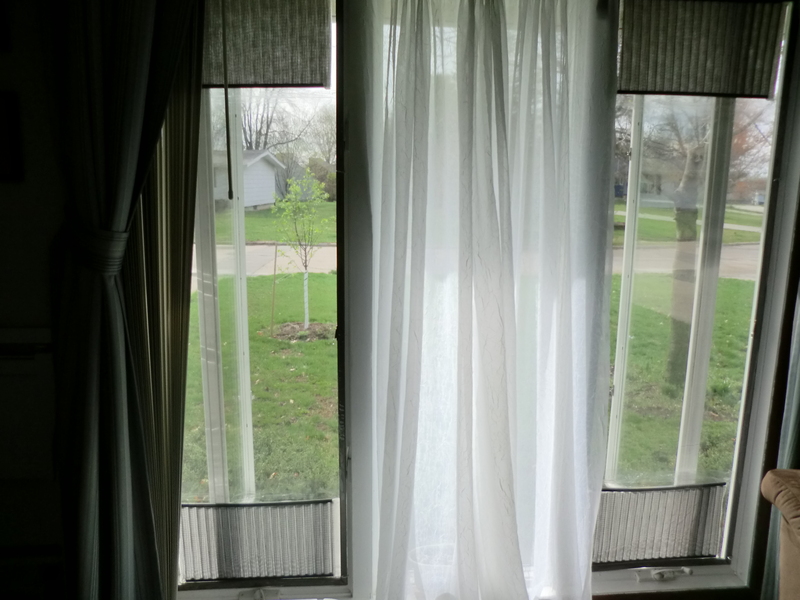 Two allergy screens in a double hung window. The 7” screens cost from $19.95 to $22.99, and the 11” screens cost from $24.75 to $26.00. You can wash them out with water and replacement cartridges can be ordered for $14.90 to $19.99. 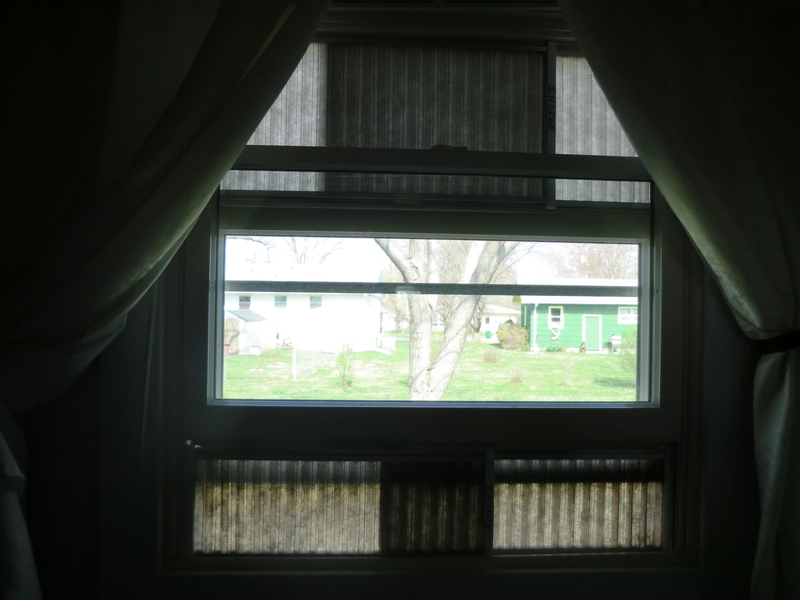 In my three-paned window I taped two allergy screens and heavy-duty plastic between them. The frame of the window keeps the plastic and tape secure. I added six cup hooks around each screen to keep them secure on windy days. Two allergy screens taped to the regular screen with plastic taped between them. In my sliding glass door, I put two 11” screens in sideways. My husband cut two pieces of wood to place against the opposite side of the sliding door to hold them in place. 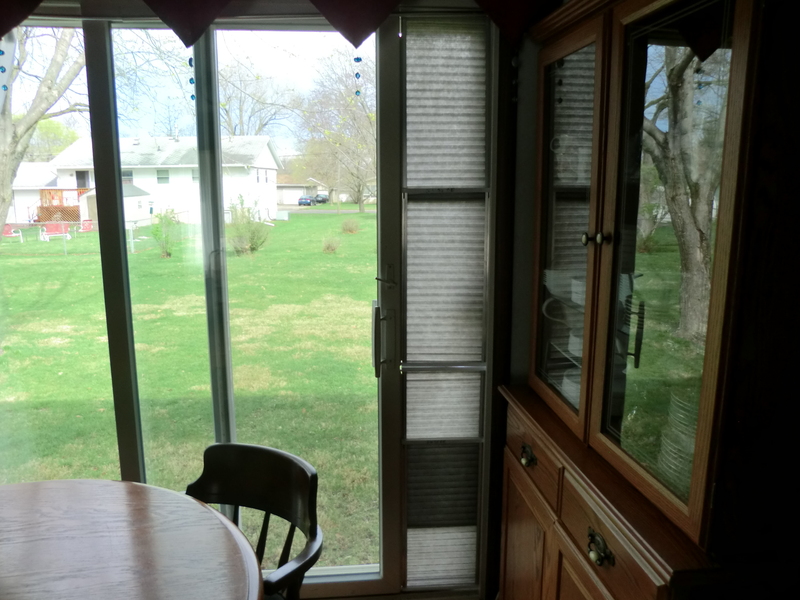 Two allergy screens in my sliding glass door. I even have two screens taped onto my screen doors. It is worthwhile to be able to shut off the air conditioner and keep the pollen out at the same time. This entry was posted in Energy Efficiency, Health, Make It, Money Saving Ideas, Purchasing and tagged Energy Efficiency, Health, Make It, Money Saving Ideas, Purchasing, wire mesh by Frugal Fish. Bookmark the permalink. Thanks for the comment. I heard today that allergies will be worse this spring because of the mild winter and early warm weather. Good luck.